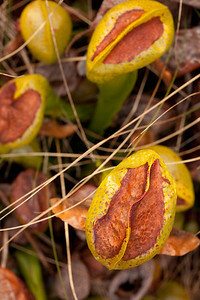 Darlingtonia californica grows amongst other non-native carnivorous plants introduced to the Albion Bog in Mendocino County, California. 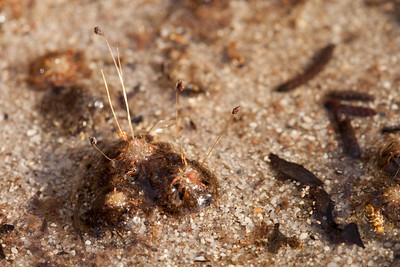 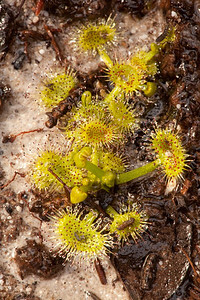 Drosera peltata var. 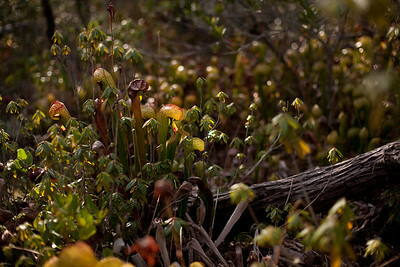 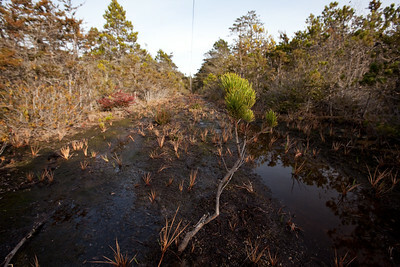 foliosa grows amongst other non-native carnivorous plants introduced to the Albion Bog in Mendocino County, California. 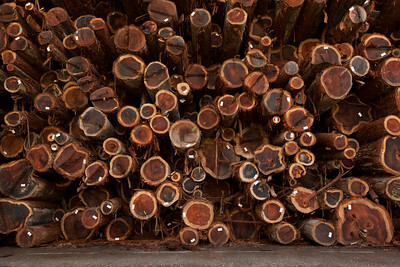 Redwood logs piled high at a lumberyard on Highway 128 outside Cloverdale California. 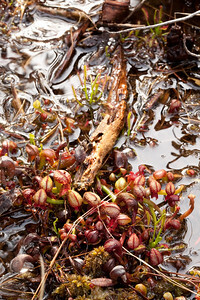 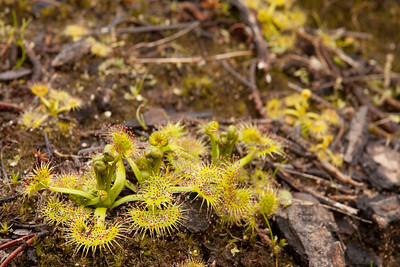 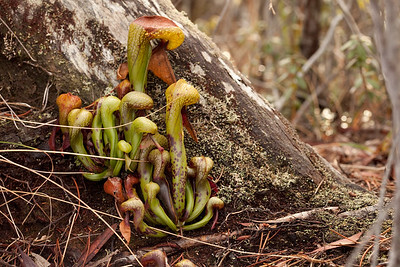 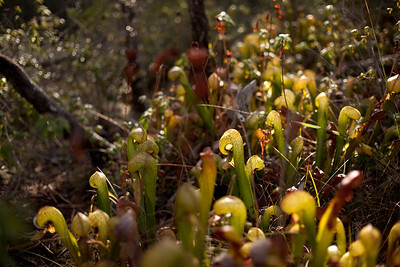 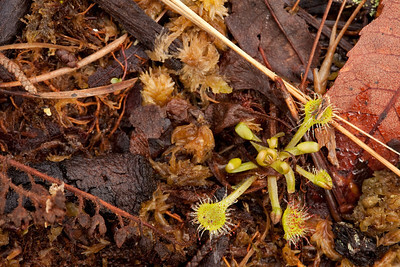 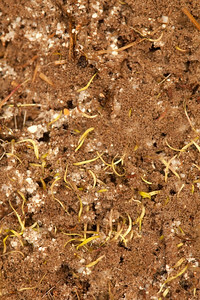 Non-native carnivorous plants introduced to the Albion Bog in Mendocino County, California. 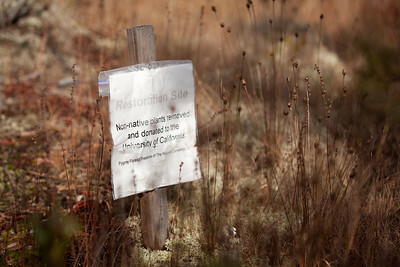 A Nature Conservancy sign advising of a non-native plant removal project at the Albion Bog in Mendocino County, California. 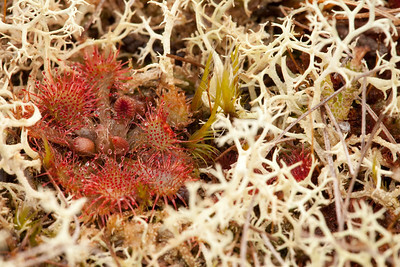 Drosera spatulata growning amongst other non-native carnivorous plants introduced to the Albion Bog in Mendocino County, California. 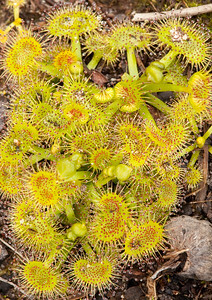 Drosera rotundifolia growing amongst non-native carnivorous plants introduced to the Albion Bog in Mendocino County, California. 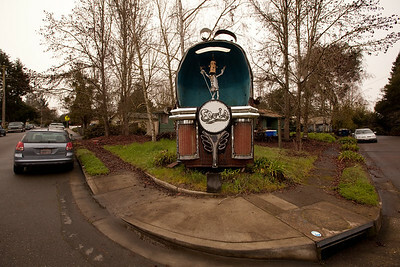 The King lives in Sebastopol, California at a neighborhood Elvis shrine. 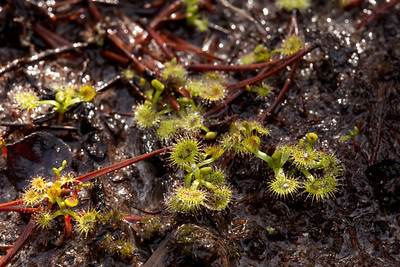 Drosera pygmaea grows amongst other non-native carnivorous plants introduced to the Albion Bog in Mendocino County, California. 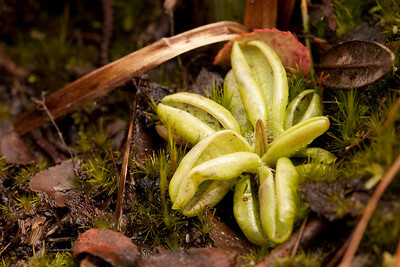 Pinguicula lusitanica growing amongst other non-native carnivorous plants introduced to the Albion Bog in Mendocino County, California.